Cherry Blossom Brooch by Ann Hand. 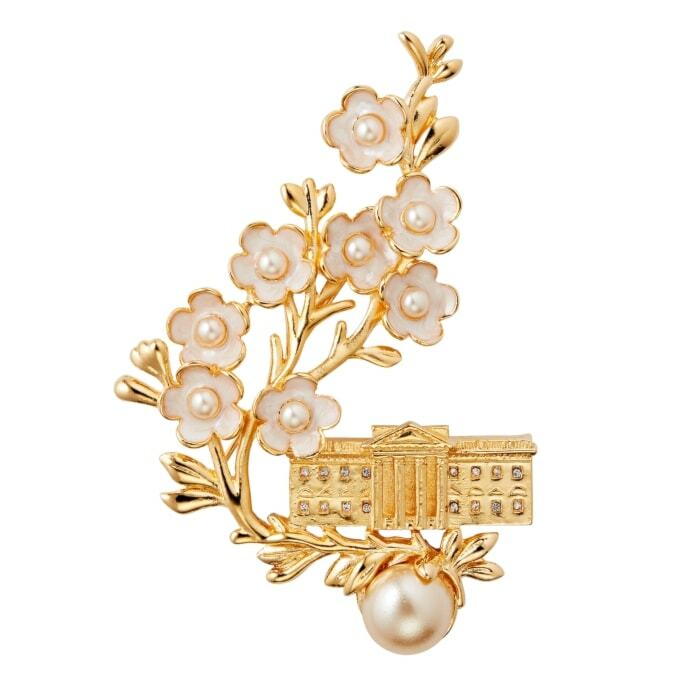 One of a kind gold and pearl design celebrating the popular cherry blossom in DC. First Lady Helen Taft developed the idea of planting cherry trees along the Tidal Basin in Washington. Japan gifted 3000 trees to the US in 1912. Cherry Blossom festival is held in the spring in DC.